PSKreporter.de - PSKreporter displays the digital mode data of transmitting and receiving stations and displays them with additional information in selectable views. Scan Antenna - Scan Antenna supply precision antennas to some of the world’s most advanced, market leading companies. Their antennas fit in satellite voice/data, mobile/wireless GSM, GPS, marine/land based radio and other specialty systems. Tiny Track I - Tiny Track-I is a simple unit offering the transmission of your position-data (as mobile etc) in APRS , just by using a VHF and a GPS. ScopeDSP - ScopeDSP analyzes sampled-data signals in the time and frequency domains. It can generate, read, write, window, and plot real and complex digital data signals. 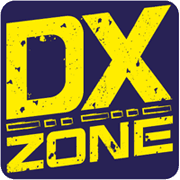 DX Fighter - DX Cluster client - DX-Fighter is a ham radio program for DX cluster spot reception. Connect to any DX cluster server and Telnet server. DX Fighter is the first program to receive the DX Cluster with an embedded web browser that allows browsing on any website also integrates the functions of research on search engines or databases such as QRZ.com. LoTW to Logger32 Credits - Free windows program that download data from LoTW and modify an ADIF file exported from Logger32. This utility downloads data from LoTW and save data in the correct format required by Logger32. This program can be used instead of original ARRL scraper.exe tool. Soundcard Oscilloscope - PC based Soundcard Oscilloscope software that receives its data from the Soundcard with 44.1kHz and 16 Bit resolution. WinAFSK - Windows open source packet radio decoder. Decodes AFSK1200, AFSK2400, HAPN4800, and FSK9600 packet data with a radio connected to your pc sound device. WXWarn - Weather Software - WXWarn taps into the US National Weather Service real time weather data feed, constantly monitors NWS weather updates and displays just the alerts that are important to you as they are issued. Homebrew Crystal Filter Design - Desgining crystal filters and find out crystal data by measuring it. FSK interface and CW Keying Interface updated - Easy to build RS232 keying interface for FSK and CW. Works with most popular RTTY software like MMTTY. Also works for with most contest software such as N1MM and Writelog for CW keying. Uses the RS232 port RTS, DTR, or TX data, optically isolated, PC boards available.